The property is already divided in 2003 and individual land registers exist for the respective apartments. 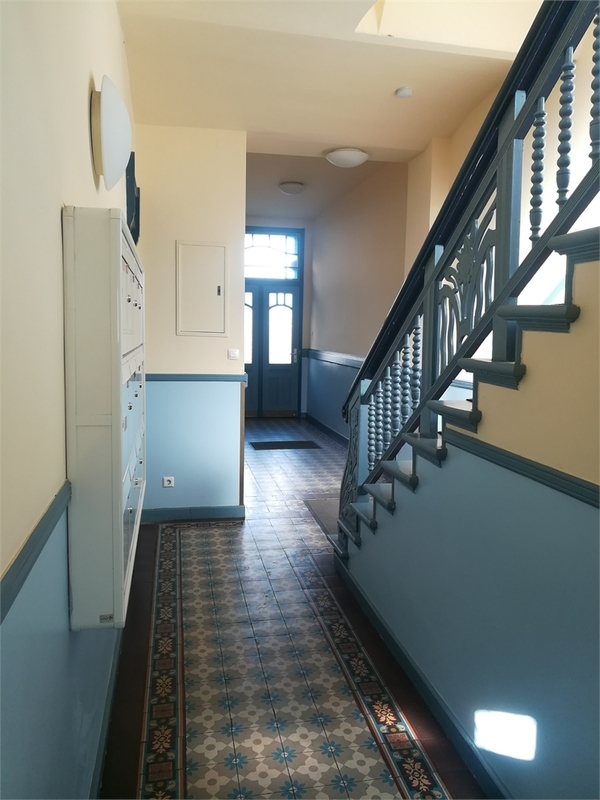 The house dates from 1906, was gradually renovated, well maintained and all old style elements (banisters, ceiling stucco and apartment doors) were renovated. 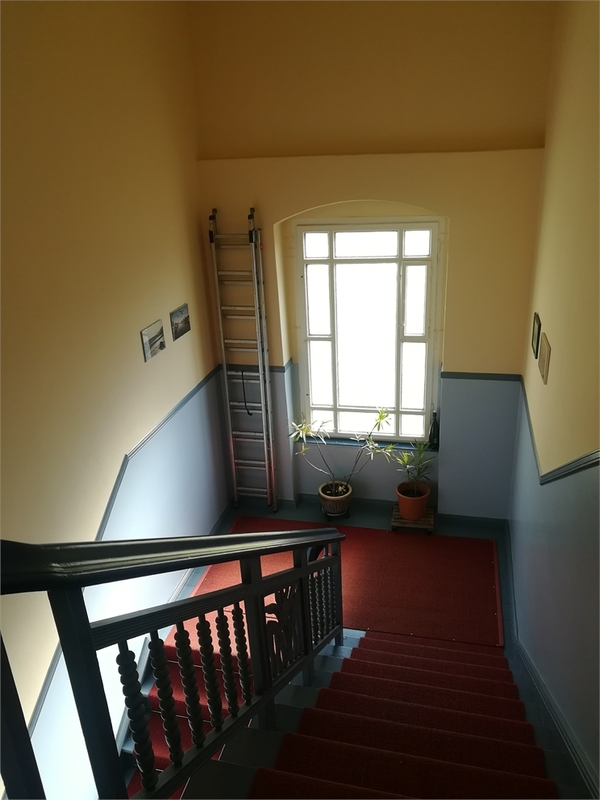 All stairwells and main entrance areas, as well as the green inner courtyard are very well maintained. 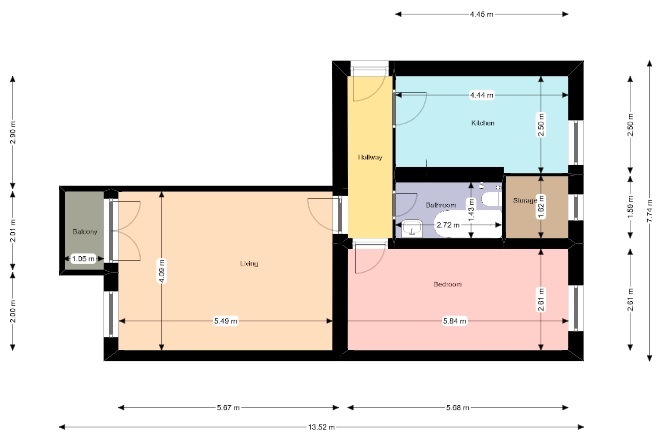 The apartment is a total of 61.82 m² in size and has two rooms of different sizes. The apartment maintains all its typical old-style charm (high ceilings and stucco and some fantastically decorated door details). The plan of the apartment is very well laid out. First you reach the well-lit and bright kitchen. The kitchen equipped with original wood flooring, also a small separate storage area. Also located here are the connections for a washing machine. The white tiled bathroom has a bathtub. There is the possibility to extend the bathroom and make larger. The living room with its original wood flooring is very spacious and bright, the room leads out by double doors to a balcony. The bedroom faces out to the quiet court yard. Located in the green northwest of Berlin district Reinickendorf offers both rural idyllic and urban flair with excellent infrastructure. 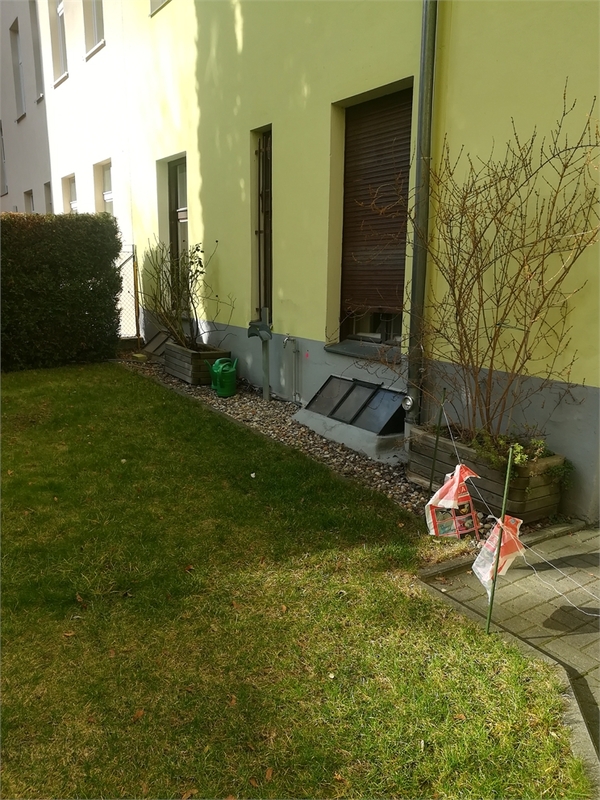 The property is located in the Berlin district of Tegel, adjacent to the districts of Wedding and Reinickendorf directly on the underground line U6 and the S-Bahn line 25. Despite its quiet location you can find in the immediate vicinity schools, authorities, day-care centers, doctors and many shopping possibilities. The area is surrounded by recreation possibilities, where close by are The Humboldtinsel, the Schlosspark Tegel and Freizeitpark Tegel. 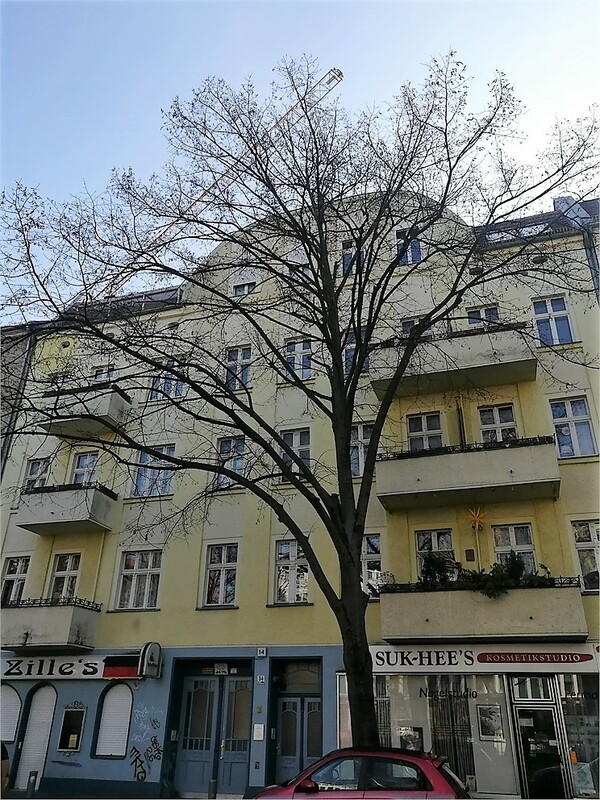 With the Tegeler See and the Tegeler Forest, the district has large water and green areas that occupy more than a quarter of the district area - an absolute record in Berlin. 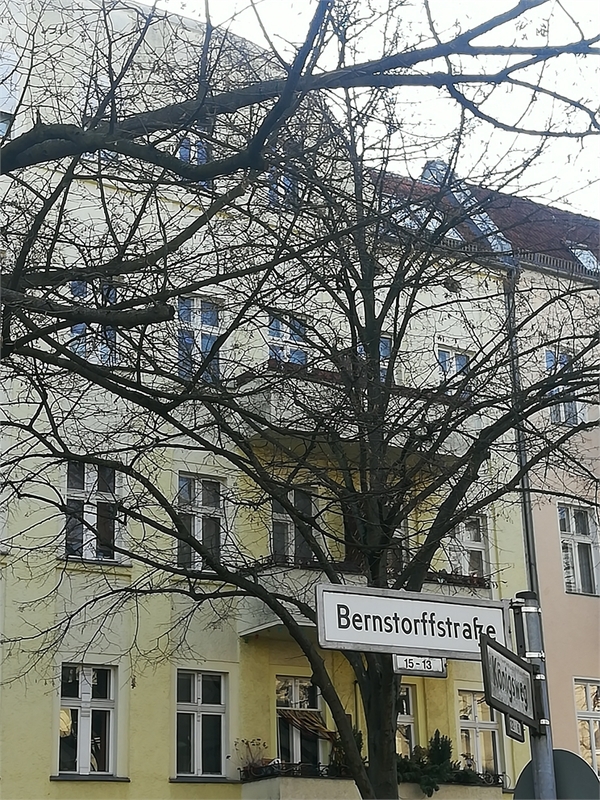 Thanks to the short walk to public transport and the city motorway A 111, the paths in Reinickendorf are short, in a few minutes you can easily reach the city center of Berlin.